The ROCAM conference and the associated summer school receive a generous financial help from the "Culture and Physics at Magurele" Foundation, a non-profit organization dedicated to support the organization of scientific events in Romania and the participation of Romanian scientist to important international conferences and congresses. The Foundation belongs to the National Institute of Materials Physics, an elite research organization from Romania. 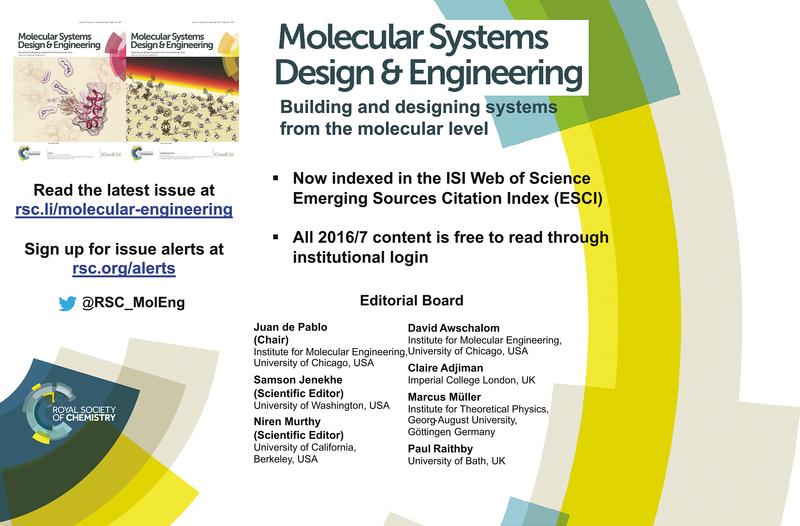 Molecular Systems Design & Engineering provides a hub for cutting-edge research into how understanding of molecular properties, behaviour and interactions can be used to design and assemble better materials, systems, and processes to achieve specific functions. These may have applications of technological significance and help address global challenges. "The Schaefer-Tec group has been exclusively representing innovative worldwide known manufacturers since 1963 in Europe. Our strength lies in the application consulting, sale, training, service and marketing of scientific and technical products for research and production. Being more than 50 years in this business, our customers can benefit from the rich experience and long-standing relations guaranteeing a successful product implementation. Schaefer-Tec group has offices in Germany (1963), Switzerland (1966), France (1971), Italy (2005), Romania (2007), Poland (2009)."